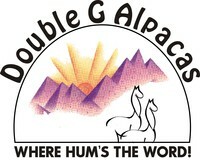 Specializing in Huacaya alpacas, Double G Alpacas is located just outside Sierra Vista, Arizona in the middle of the San Pedro Valley. 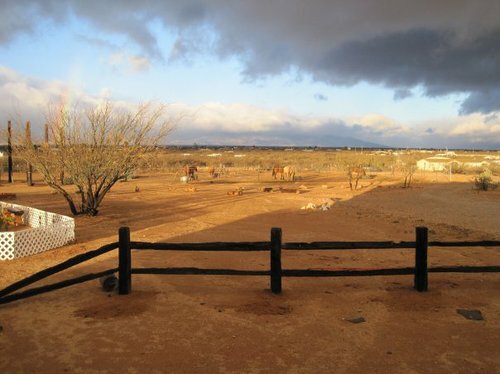 90 minutes south of Tucson, and 15 minutes southwest of Tombstone it's easy to get to. Our property provides the best for our alpacas' comfort and health, and all of our animals are halter trained and handled on a weekly basis. In addition to having livestock you can meet, we have an ever-changing sales list, we love to educate people about alpacas and we have a ranch store stocked with alpaca products! When we first saw an alpaca at a local rodeo, we started our research immediately. When we found out how easy they are to care for, how attractive their personalities are, how easy they are on the land, and the investment potential of owning alpacas, we were hooked! Not to mention, alpaca ownership is fantastic for the whole family because kids can be actively involved in EVERY aspect of the alpaca lifestyle! 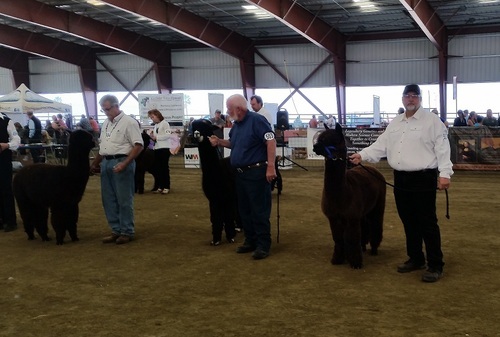 Many individuals are interested in alpaca ownership, but do not have the time or facilities to care for the livestock daily. 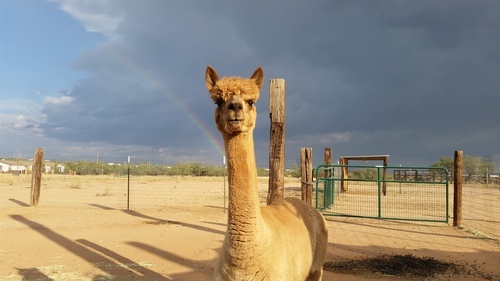 We understand the attraction of alpaca ownership, even when the animals are boarded, and we provide quality alpaca boarding for those individuals. The animals boarding receive the same handling and care as our own, and we monitor all of the animals' maintenance and veterinary needs. Whether you decide to board your alpacas with us or take them home, we offer you superior support both before and after the sale. We are always willing to answer any questions you have in regards to the care, maintenance and management of your alpacas. We invite you to contact us with your questions and inquiries about alpacas and alpaca ownership. We'd be happy to schedule a ranch visit with you as well, so you can see first-hand the gentle, curious nature of these animals. The reality of alpaca ownership is they are TRULY the "huggable" investment. We offer a variety of financing options, please contact with your needs. Please come and visit us to learn about alpacas! Products available year round. Click the store tab above to see many of the products available. 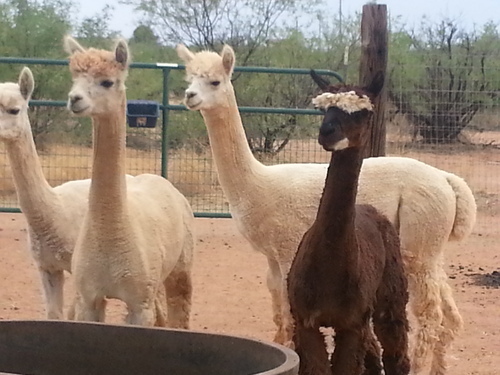 We received another shipment of products milled in Arizona from our own alpaca fiber. We also still have a variety of other products MADE IN THE USA and also some imported from Peru.